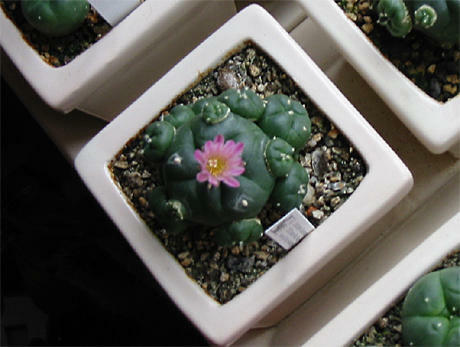 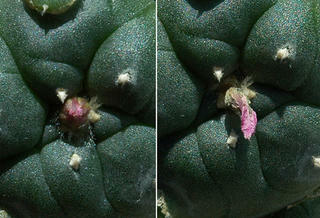 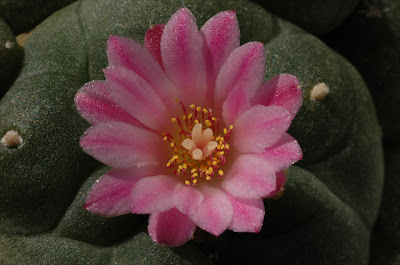 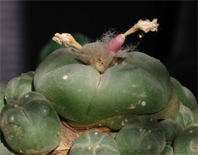 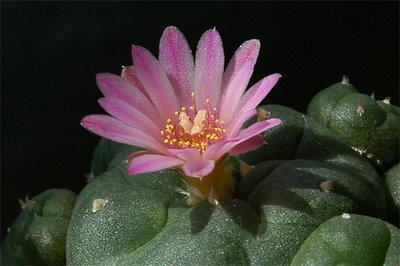 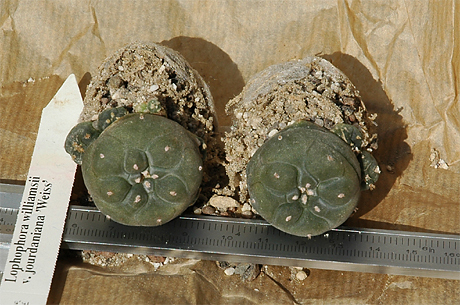 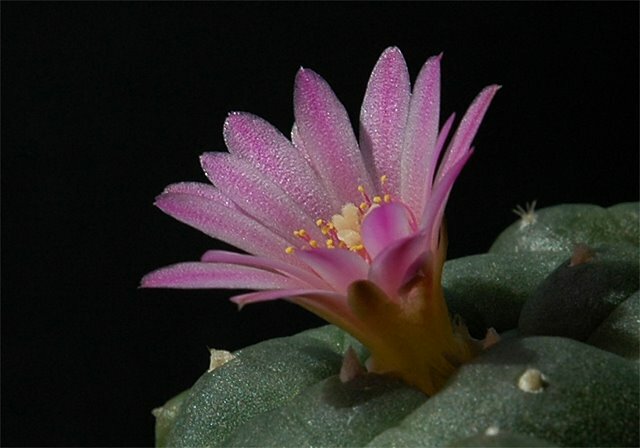 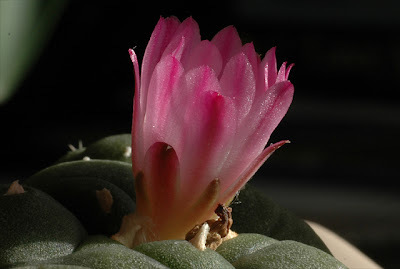 One of my Lophophora williamsii v. jourdaniana plants flowered last week. 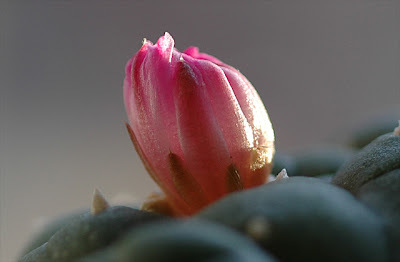 I’m hoping the early flower can be seen as a promise for more flowers this season – last year and the year before last the plant only displayed one flower. 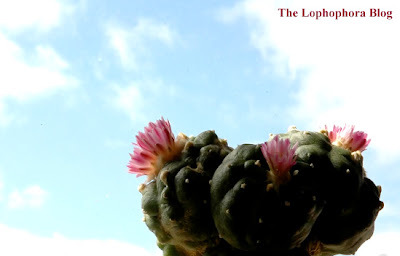 The sun was obscured by clouds most of last week and consequently the flower never unfolded completely before it withered. 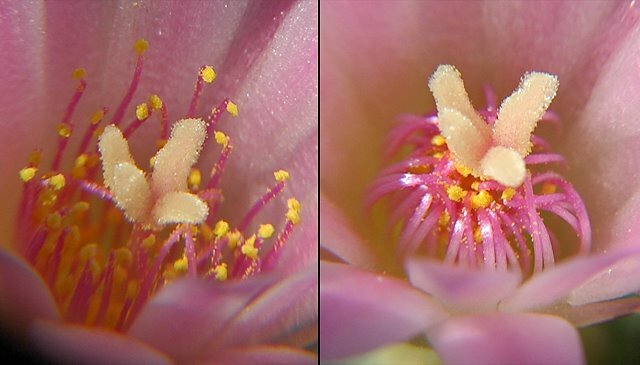 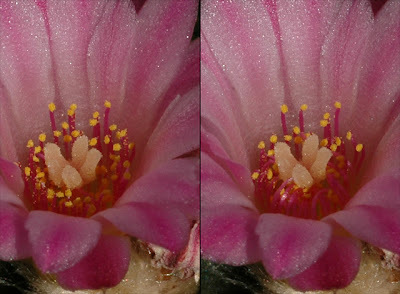 The picture above shows the flower at its peak – it’s still beautiful in all its rose-violet charm, but for comparison you can check the fully unfolded flower from last year in all its splendor.